Dermabrasion is a technique developed to improve the appearance of acne scars, pox marks and other types of marks on your skin. It uses a wire brush or a diamond wheel with rough edges to remove the upper layers of the skin. The brush or burr rotates rapidly and takes off the top layers of your skin, leveling it in the process. The procedure injures the skin and bleeding occurs. Once the skin starts to heal, the new skin grows to replace the damaged one removed during dermabrasion. Hence dermabrasion for acne scars is a viable option, but is preferred when condition is severe. The depth of the resurfacing process depends on the coarseness of the brush or burr, the speed of its rotation, the duration and intensity of applied pressure and the condition and anatomy of your skin. The most common area for the treatment is the face, but it can be done on other areas of the body as well. The areas of treatment are cleaned properly and marked. Usually, a local anesthetic is used to numb the skin before treatment. The skin is subjected to ice packs for up to 30 minutes. Freezing spray is sometimes used to harden the skin for deeper abrasions, in case the skin is not firm enough even after the ice and anesthetic. If your entire face is to be treated or deep abrasions are required, you may need pain killers, sedation, stronger anesthesia, or even general anesthesia. A small area is treated at a time. The freezing spray is applied for a few seconds and the rotating burr or brush is used to take off the top layers of the skin. Any bleeding is stopped by gauze and the treated area is covered with a clean ointment and dressing. Dermabrasion is always carried out in the doctor’s office. The recovery time is dependent on the size and depth of the area treated. Full face dermabrasion will need a longer healing time than a small area treated. In addition, if your skin was treated with deeper abrasion, it will need longer to heal. Generally, the new skin regrows in 5 to 8 days. The new skin is pink or red in color, which fades in 6 to 12 weeks. Until you get your normal skin back, you can create your normal skin tones with makeup. In case of most people, there is no or little pain. Avoid sun exposure when the skin is peeling and once it has stopped, use sunscreen every day as new skin is more disposed to sun damage. You may require several follow up visits to your doctor to monitor the healing of the skin and its regrowth. It may also help to identify and treat early signs of infection or complication. The short term and long term results of the procedure depends on your skin type, condition, the level of experience your doctor have, the type of brush or burr used and your lifestyle. Some types of skin problems or defects respond better than others. It has better results on the lighter skin than on the darker skin. In most cases, dermabrasion results in an even, smooth, uniform skin appearance. 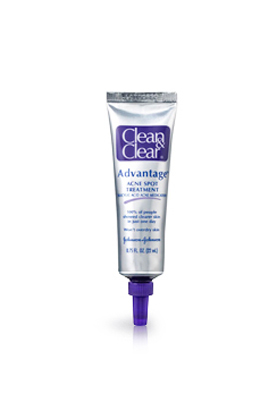 It is highly effective in improving nearly flat or superficial acne scars and hyper-pigmentation. There are some side effects, but they are usually temporary. It includes scarring, redness, swelling, increased color in the skin, more sensitivity to sunlight and flare ups of acne. In short, dermabrasion for acne scars is an effective option, as long as you are aware of the process involved and side effects. You can consult your doctor or dermatologist, whether it is the suitable treatment for your skin type and condition. It is always important to consider his/her experience with the procedure and once the treatment is done, take the necessary precautions. 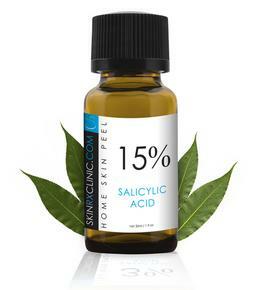 Salicyclic Acid Products for Acne Scars: Effective or Not? 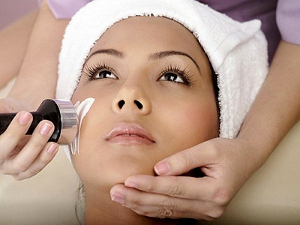 How much it costs for Dermabrasion treatment?